Mangaluru, Jan 30 2018: Mangalore University is all set to commission its campus surveillance system February 10. Equipped with state-of-the-art cameras, the surveillance system will ensure that all activities in public areas of the campus is monitored and ensure safety of all stakeholders on the campus. These cameras are capable of even capturing number plates of vehicles on the Mangalagangothri campus at night. Vice-Chancellor K Byrappa stated to media representatives that the new system installed on campus are much better than the ones in use at present. 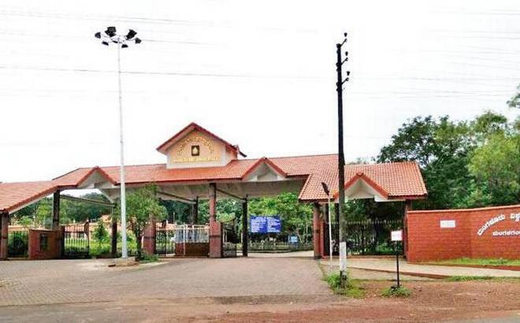 Declining to specify the number of cameras for strategic reasons, Byrappa said, "Be assured that all public areas on the Mangalagangothri campus are under surveillance through these cameras placed at strategic positions." The feed from the cameras will be monitored on real time basis to ensure quick response time, he noted. With minister for higher education Basavaraj Rayareddy penciled into dedicate this facility on February 10, Byrappa said the university can’t err on the issue of student and faculty safety. "With foreign students too now very much part of the post-graduate campus, enhanced security measures are a must," he said, adding the cameras chosen have the much needed night vision capabilities and are able to read the number plates of vehicles using the university roads at night. The enhanced safety system is also part of directives given by the University Grants Commission and Karnataka Higher Education Council to all higher education institutions in India, Byrappa said, adding this feature also counts for lot during NAAC accreditation process. Working on radio frequency wirelessly, the surveillance system also doubles up as an internal communication system between the university and its departments and university and constituent colleges.